Many of the homes and condos at Monarch Beach have extraordinary locations walking distance to the beach and many amenities in Dana Point, Laguna Niguel and Laguna Beach and often have a combination of ocean, golf course and green views from the adjacent Links Golf Course, (an exclusive Robert Trent Jones II design). The location of these homes make them not only enjoy the coastal views and weather, but also have easy access to the freeway, to PCH, the Golf Course itself and Salt Creek Beach. For those golf enthusiasts, that want to bring the golf course into their homes, the Monarch Beach golf course views homes are a perfect fit, with many also having backyards that open up to the Golf Course, and let's not forget, the convenience and prestige of being in the neighborhoods adjacent to the St Regis Resort and the Ritz Carlton Laguna Niguel. Search all Monarch Beach golf course view homes and condos currently listed for sale in the MLS, including short sales and foreclosures. For more information about any of these Monarch Beach Golf Course View Homes, call us at (949) 888-6788 or read more about the Monarch Beach golf course view Real Estate options, or visit our Dana Point Real Estate section for other Dana Point Homes, including other Monarch Beach homes. Want to know more about the Golf Course? Visit The Monarch Beach Golf Course . When it comes to the Real Estate, there's several options: upscale, luxury neighborhoods like Monarch Bay and Ritz Cove are our top choice for views and luxury, but many homes at the 'Estates in Monarch Beach', the Sea Villas at St.Regis, the Villas, and condos like the Monarch Hills Condo (Ritz Pointe), have fabolous golf course views. Some prime real estate in Monarch Beach will also have backyards that open up the Links Golf Course - and will offer an ocean view of the Pacific as well. In Monarch Beach, all of the neighborhood's gated entrance are walking distance to the trails access that head to Salt Creek Beach and Park or Strands Beach, and also within close proximity to the Golf Course. If you would like to be close to the Golf Course, your best bet would be the Monarch Beach Homes. 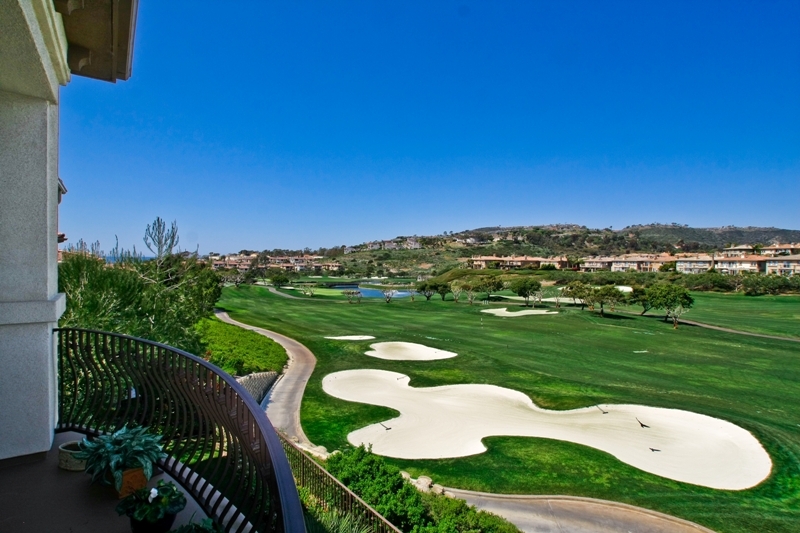 OCExecutives specializes in real estate transactions of Monarch Beach Golf Course View Homes in Dana Point, California. Contact us today to sell real estate or buy real estate in the Monarch Beach community of Dana Point or for more information about any of these Monarch Beach Golf Course homes. If you would like to see a list of homes in other communities in Monarch Beach or Dana Point, follow the links above, or click here for other Dana Point Real Estate.